Making a difference and making money are not a mutually exclusive goals, because building our country is everybody’s business. In today's mobile world, people and businesses in the Philippines are already embracing a digital take on the 'bayanihan' spirit, a traditional value that's core to the Filipino culture of coming together to create progress and build community. To be Filipino is to be social. The desire of the Filipino for interaction and involvement has been dramatically augmented by advancements in today’s technology. For Filipinos in today’s digital age, information is power. With an average of 3-4 hours time spent online and about 60% of the population having internet access already, the Philippines can rightfully boast as one of the highest social media usage in the world. 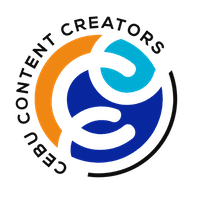 We spend lots of hours browsing the internet to connect with our community, consuming media and entertainment, engaging in e-commerce, and navigating through the world. You could even say that this new platform has shaped and influenced how we choose our future leaders for the nation. “Bayanihan,” a truly Filipino practice of building communities and creating progress, has already taken virtual form. What we love most about the word Bayanihan is how it originated. In the old days within the Philippine countryside, people moved houses – literally. When a family was moving, the whole community volunteered to lift the family’s home and literally carry the family’s house to its new location. I was invited by Gawad Kalinga Cebu to share insights about digital bayanihan at the PinasForward Forum last week at the Cebu Normal University - NSTP students. 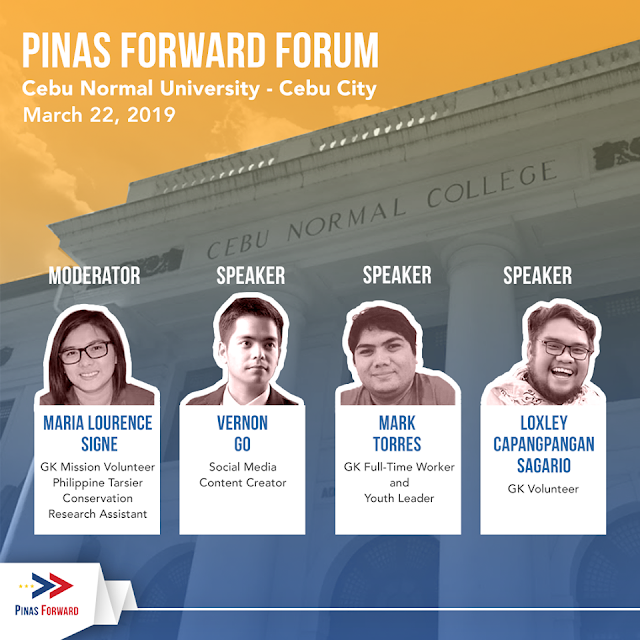 Pinas Forward, an advocacy for nation-building by Barangay Walang Iwanan, aims to hold talks and forums to stimulate discussion about how we can use technology to achieve national progress through ordinary acts of community engagement and volunteerism. 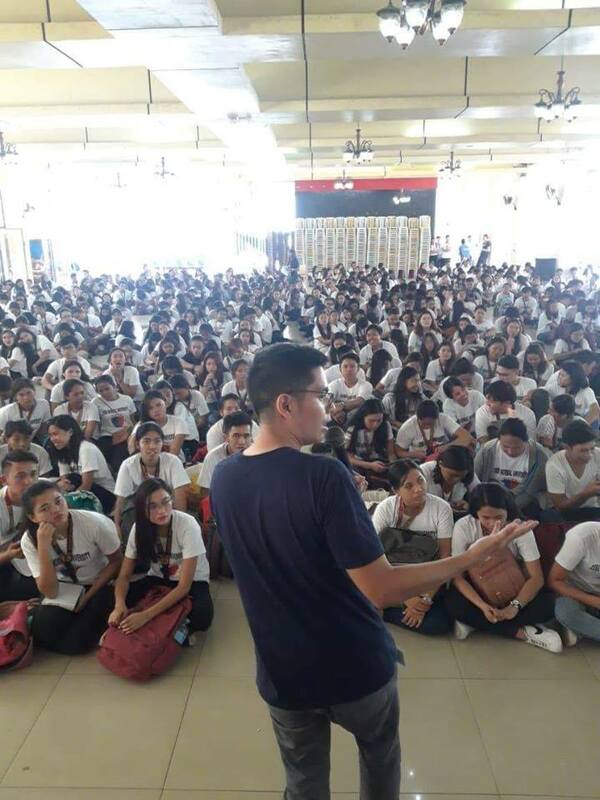 Speaking in front of over 600+ NSTP students at the Cebu Normal University! 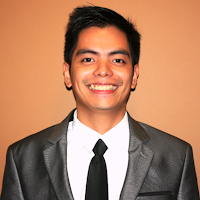 So, how can you do your own digital bayanihan? Digital literacy initiatives: You can join a skills training site or use Youtube to share your knowledge on certain topics. There’s plenty of topics or DIY-guides to find online! A local example is @CallCenterNinja where she gives you tips as well as some Q&As with regards to the Call Center Industry! I also have a Q&A on adulting as well as have segments on my podcast about mental health awareness. Crowdfunding: Crowdfunding is a platform that enables the people to share what they have to others. It offers convenient service, multiple payment methods and transparent platform for personal or institutional campaigns. 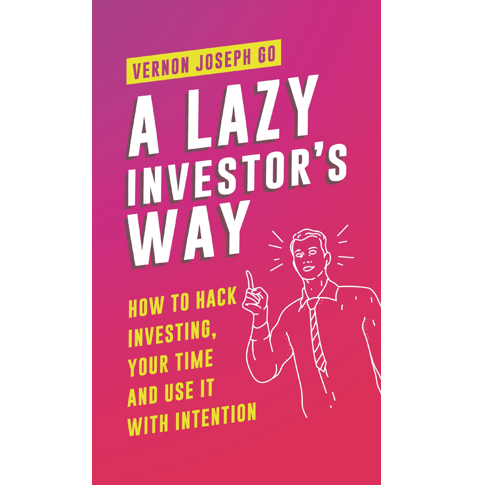 There are also crowd-investing campaigns that seeks to not only help but also give you return-on-investments. Check out Gavagives.com and thesparkproject.com; and also, farm-on and cropital for crowd-farming-investing. Crisis response, disaster relief and support: Non-profits, volunteer organizations, and Red Cross Philippines has used facebook to mobilize their volunteers nationwide in times of disaster via fb groups and messenger and other platforms such as Instagram stories and Twitter hashtags. Everyday acts-of-kindness: If you are able to document and share great stories online like that kid who was studying in McDonald’s or that street vendor who graduated college with honors -- this could also help uplift the mood of others who are secretly despairing. Even the act of contributing to Waze helps others! These are just some of the things you can do, but remember this, limits set boundaries. Bayanihan knows no boundaries.